Until the political crisis that began on 26 October, when the sitting Prime Minister was removed and a new Prime Minister appointed by the President, Sri Lanka had been on a trajectory to deliver on several human rights commitments it had undertaken in 2015. When one considers the progress so far, it is inevitable to wonder whether the slow pace at which these reforms were implemented, contributed to the present crisis, especially the lack of accountability for serious human rights violations and crimes. The international community welcomed Sri Lanka’s cooperation at the Human Rights Council to embark on a comprehensive transitional justice agenda. It is unfortunate that the government showed limited will to urgently address serious human rights violations such as enforced disappearances, extra-judicial killings and torture. The gains made so far on the human rights front have attracted specific criticism from civil society and survivors, but they are significant steps in the right direction. On the other hand, throughout the year, incidents did take place which marred the human rights track record that Sri Lanka was touting internationally. The much-awaited Office on Missing Persons (OMP) publicly released its interim report which made important recommendations. Whether the cabinet subcommittee that was appointed to implement OMP’s recommendations will be reconstituted will be a legitimate concern following the political tug of war. Meanwhile, mothers of the disappeared have, for over 500 days, continuously protesting. They have yet to receive any answers from the government or the OMP. The Act establishing the Office on Reparations was gazetted in October, despite civil society’s concerns around key decision-making powers over the Office’s work being concentrated within the cabinet. Whether this Office will come to fruition will depend on which government retains, or gains, power. Victim groups of the war-affected in the North have been protesting continuously for release of their land from the military. Pockets ofprivate and State land remain under military control in conflict areas despiteassurances by the government that more land has been earmarked for release bythe end of 2018. Sri Lanka committed to repealing its draconian Prevention of Terrorism Act (PTA), both before the Human Rights Council in 2015, and before UN treaty bodies. The Counter Terrorism Bill, attempts to provide better protection against torture and other ill-treatment, and to deter the admission of “confessions” elicited under torture, however it is far from perfect. Problematic aspects of the bill include permitting detention without charge for up to one year and ambiguity on critical definitions of what constitutes an offence of terrorism. The bill is far from being compliant with international human rights law, and has the potential to be used, as in the past, to target peaceful dissent against government. March witnessed renewed ethnic violence against the minority Muslim community in both Digana and Ampara. In Digana, as mob violence increased and spread to neighbouring towns, the government responded by proclaiming an island-wide state of emergency, and restricting access to select instant messaging applications and social media platforms. These incidents speak to the communal tensions that continue simmering. A magistrate’s court in June handed down a sentence to Secretary General of the Bodu Bala Sena (BBS), a hardline Buddhist group, for threatening human rights defender Sandhya Eknaligoda who has been pursuing justice for the enforced disappearance of her husband, Prageeth Eknaligoda. This was a rare case of victory for human rights defenders and also against Buddhist leaders rarely held to account for their actions. Soon after the verdict this year, Sandhya was smeared as a supporter of the LTTE and was taunted with threats of disappearance, death and violence against her children in a series of menacing social media posts. 2018 witnessed attacks on many more human rights defenders. In July, Srishobana Yogalimgam, an anti-enforced disappearances activist, was assaulted in Jaffna. In July, unidentified motorists assaulted human rights defender Amitha Priyanthi and snatched the court documents of the case of her murdered brother which she is vigorously pursuing. Shalin Uthayasara, a journalist at the Tamil Guardian, an online news portal, has faced continuous harassment from the military. He was threatened and interrogated about his work in the north of the country, through the year. The possible return of the very people who are accused of committing frequent attacks on human rights defenders when they were in power, pre-2105 does not portend well. Jeyakumari Balendran, Lasantha Wickrematunge, Keith Noyahr, Prageeth Ekneligoda are a few victims of intimidation and attacks that were frequent pre-2015. The political crisis has brought back legitimate fears of returning to a past of rampant human rights violations. 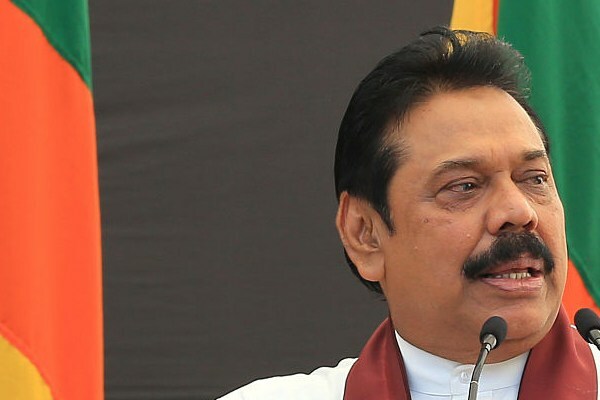 Trade unionists loyal to the Rajapaksas threatened and took over key state media houses to control how reports of the former President’s controversial appointment was delivered to the public. If any evidence was needed at all of what might follow in the coming year, this was it. The weeks that have followed since have seen egregious violations including attempted transfers of key criminal investigators and intimidation of witnesses in cases involving the top brass of the defence establishment. They were indicators of the culture of impunity and practices Sri Lanka could return to. A further cause for wariness is that there has been no accountability for members of the former government, accused of committing serious human rights violations, war crimes and crimes against humanity during the last stages of the war. This could lead to a reversal and potentially even stall the progress made so far on all four pillars of transitional justice: truth, justice, reparations and non-recurrence. Sri Lanka is far from the success story many want it to be. Key commitments, and gains on the human rights front since 2015, however limited, may now be at risk of being reversed if Sri Lanka returns to the past. On Human Rights Day, while celebrating the twin anniversaries of 70 years of the Universal Declaration on Human Rights and Sri Lankan independence, perhaps these are sobering reflections of the year past. A past we must never return to.